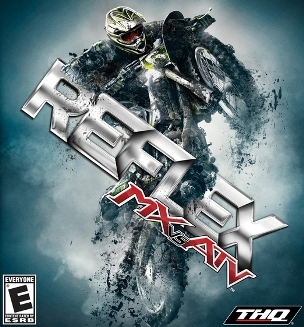 THQ President Brian Farrell said that the company will release the next MX Vs. ATV racing sim at a lower price and offer DLC from there. Farrell noticed that when MX vs. ATV Reflex was released in late 2009 at the full retail price of $59.99, it did all right. But when THQ was able to lower the price to $39.99, sales soared and the company made a hefty amount from downloadable content. That pricing sweet spot is what Farrell believes is the future of the videogame industry. He described his plan for the next MX vs ATV game to the people attending the BMO Capital Markets conference this week. "What we're thinking about the business is we're turning it on its head a little bit," Farrell said "It's not,'how high a price can we get', but 'how many users.' If you can capture everyone under that economic curve, that's where you can make the most money. "When we launched [MX vs. ATV] at $59.99, we'd do some units, and then when we brought the price down to the mass market-friendly price of $39.99, it would just pop," he said. "So the thinking this time is, let's initially launch at $39.99 - it's a very robust game, very high quality, so this is not about trying to get a secondary title out. "It's an AAA title, at that price point, but then with a series of DLC so people can extend their experience," Farrell said. "We think this is the future of gaming. We think that's the way games are gonna go in the long term." It's an interesting theory, and I'm curious to see how it will all pan out for MX vs. ATV. I feel like this kind of plan could work for a racing game like that, but I'm not so sure about AAA action games or shooters.